But it will be very difficult for them to get them out of the relegation zone as they are last on the table with 12 points in the 22 games, below Sunderland by six points. West Bromwich Albion also haven’t played that well but they are 13th on the table with 27 points, two points below Watford and two points above Chelsea. Both the teams will play for the win as both teams needs one. 23rd January 2016 at 20:30 (IST). West Bromwich Albion has won seven, drawn six and lost nine in the 22 games played so far, in the last five games they have won two against Newcastle United by 1-0 and against Stoke City by 2-1, drew one against Chelsea and lost two against Swansea City by 1-0 and Southampton by 3-0. They played against the Saints at the St Mary’s Stadium last weekend and lost the game by 3-0. James Ward-Prowse scored the first goal of the match in the 5th minute to take the lead for his team and in the 35th minute he scored his second of the game to make it 2-0. Tadic scored the third goal for Southampton to put the game to bed and Southampton won the game with ease. 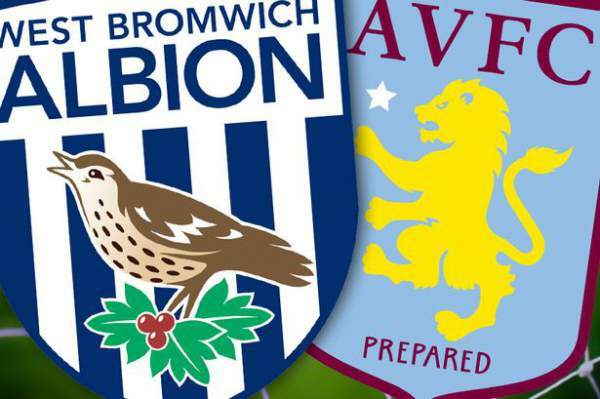 Aston Villa will need to find some kind of miracle to get themselves out of the mess they have created for themselves or else we all know what will happen and the chances of relegation are very high for them. They have only won two matches their whole season and that really sums up their season. Their form in the last five games in the league has been okay as they have won one against Crystal Palace by 1-0 drew two against Leicester City and West ham and lost two against Norwich City and Sunderland by 2-0 and 3-1 respectively. They played against Leicester City and survived the game as it ended 1-1. Okazaki scored in the 28th minute to give Leicester the lead but Aston Viila fought and scored the equalizer in the 75th minute to end the match in a draw. Myhill, Dawson, McAuley, Olsson, Evans, Sessegnon, Fletcher, Yacob, McClean, Gardner, Anichede. Bunn, Bacuna, Okore, Lescott, Cissokho, Veretout, Gueye, Westwood, Gil, Kozak, Ayew. Anything can happen here as both the teams will go for a win.